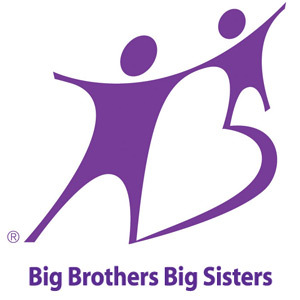 Big Brothers Big Sisters has a goal to serve an additional 200 children by 2021, and is thrilled to welcome two dynamic women to their team of professionals, to make that goal a reality. Krista Cooper, a Traverse City native, joins Bigs as the new Director of Mentoring after serving the Traverse Symphony Orchestra as its Executive Director for five years. Krista has 25 years of administration experience in the non-profit sector, with leadership experience in the areas of strategic planning, human resources, financial planning, marketing, relationship building, infrastructure strategies and community outreach. “I am honored to join the team at Bigs and serve its mission of providing children facing adversity with strong and enduring mentor relationships. A child’s well-being is of utmost importance to me. I feel a responsibility to take care of the children who may not have the benefits and blessings I had in my youth. Through our work at Big Brothers Big Sisters, we provide enrichment experiences and opportunities to nourish and encourage a child’s growth. Together, we are shaping the future of our children and community,” says Krista. Bigs is also welcoming Mentoring Specialist, Michele Conway, previously the Director of Silver Lake Elementary School’s preschool program. Michele earned a Bachelor’s degree in Education from Illinois State University and has over fourteen years of experiences of working with families in the community. Michele is overseeing volunteer recruitment and match support for Bigs’ community and school based programs in Grand Traverse County. Michele is very passionate about helping families in the community feel supported. “The amount of support, guidance, and resources Bigs gives to the community is amazing. I am excited and grateful to be a part of a positive life-changing agency”, Michele said.